Just a few months after its release, the Nintendo DSi is about to receive its first limited-edition from none other than Square Enix. In line with the upcoming release of Final Fantasy Crystal Chronicles: Echoes of Time, a limited-edition DSi will be available. The bundles comes with an Echoes of Time game and a white "Crystal Chronicles Edition" DSi. The game's logo and cat mascot will adorn the said DSi. 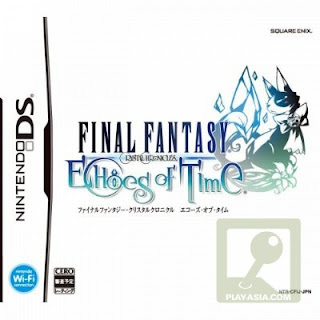 Final Fantasy Crystal Chronicles: Echoes of Time will be available in Japan on Jan 29, 2009. Pre-order Echoes of Time here.